Gramercy Funds Management has filed a $1.6 billion claim against Peru for its refusal to redeem land bonds from the 1970s agrarian reform. The Connecticut-based hedge fund has requested arbitration before a special tribunal created in the U.S.-Peru Free Trade Agreement which took effect in 2009. The claim accuses Peru of illegally expropriating its investment in the bonds. Peru’s free trade agreement with the United States prohibits expropriation and tasks bilateral tribunals with settling claims. “This is the latest attempt to discredit Peru after similar attempts in the past and above all seems to be designed by Gramercy to call attention to their private interests during the current situation in the country,” Peru’s finance ministry said in a statement acknowledging the claim. The finance ministry’s 1,500-word statement presented its case in bulletpoints under sections including an agrarian reform overview, Gramercy’s claims, Gramercy’s negative propaganda campaign and Peru’s recent track record of responsible sovereign-debt management. The statement makes frequent use of the term, “legitimate bondholders,” in an apparent attempt to differentiate between foreign speculators and Peruvians whose family lands were nationalized. 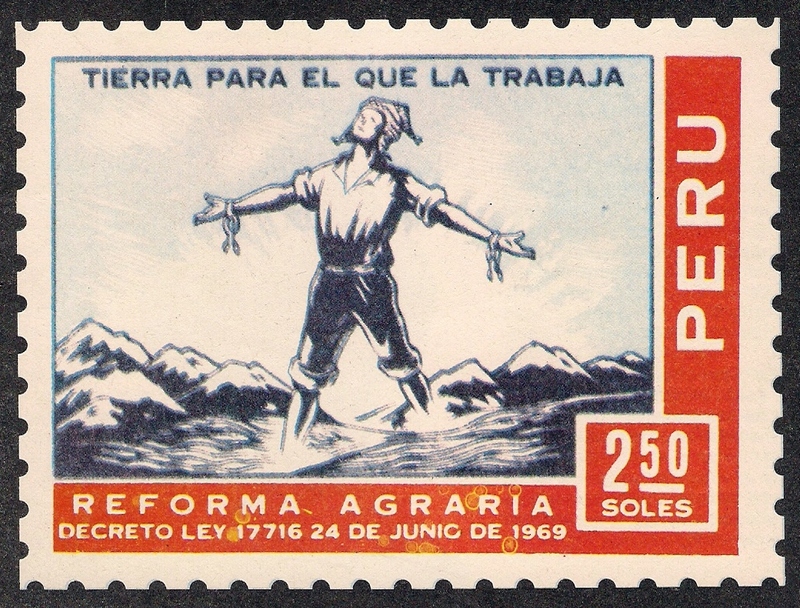 It underscores that, unlike sovereign bonds, the agrarian bonds were issued under Peruvian law and a 2013 supreme court decision specified the valuation methodology. At the heart of the dispute will be how to value the 40-year-old bonds in a country which has experienced devaluations, two currency changes and hyperinflation. The finance ministry’s methodology values Gramercy’s bonds at $1.1 million. Gramercy began purchasing the bonds in 2006 from Peruvian bondholders, most of them children or grandchildren of the original landowners, who had long given up hope of ever redeeming them. Gramercy owns about 10,000 bonds which they say are worth $1.6 billion. Peru alleges that Gramercy has failed to prove it was a “legitimate investor who made lawful investments in Peru” or that Peru has violated international law. The statement accuses Gramercy of not negotiating in good faith and attacking Peru’s international reputation with a negative propaganda campaign. However Gramercy says that it has repeatedly tried for years to reach a reasonable agreement with a Peruvian government which is unwilling to negotiate. “Peru’s stonewalling and steadfast refusal to have any substantive discussions has left Gramercy no choice but to commence and vigorously pursue this arbitration and enforce its rights, ” Gramercy executive Robert Koenigsberger said in a statement seen by Bloomberg. “There is no denying that the formula established by Peru is mathematically flawed and provides almost no value to agrarian bonds,” Gramercy legal consultant Mark Friedman told El Comercio. Gramercy first threatened to sue in stepping up its pressure on Peru during the annual meetings between the World Bank and IMF in Lima last October. The hedge fund announced it would sue Peru in February. The claim comes just three months after Argentina agreed to pay Paul Singer’s Elliot Management fund and other holdouts $4.65 billion on bonds that had been in default for 15 years. Elliot will get $2.28 billion, which represents a 369% on its initial investment of $617 million.